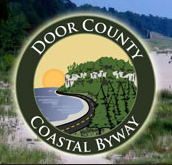 Marshy sections of Jackson, Monroe, Wood and Clark counties produce large quan­tities of Sphagnum moss, providing a major but little known state resource. 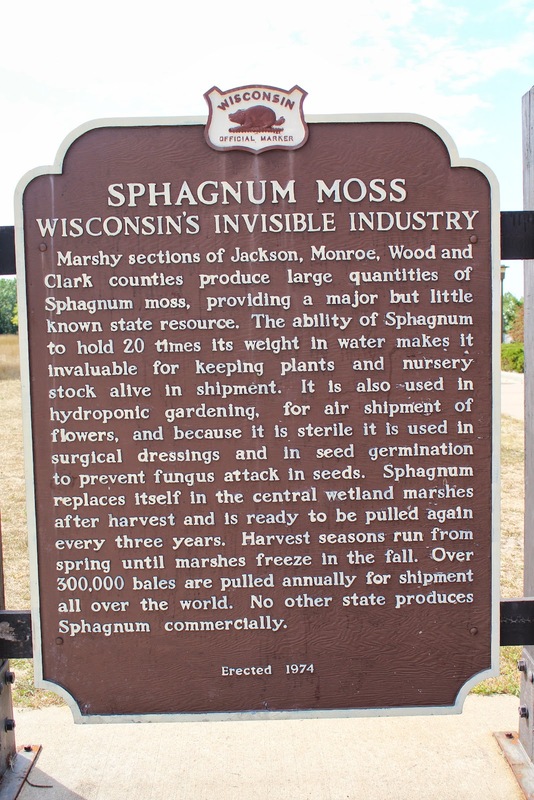 The ability of Sphagnum to hold 20 times its weight in water makes it invaluable for keeping plants and nursery stock alive in shipment. It is also used in hydroponic gardening, for air shipment of flowers, and because it is sterile it is used in surgical dressings and in seed germination to prevent fungus attack in seeds. Sphagnum replaces itself in the central wetland marshes after harvest and is ready to be pulled again every three years. Harvest seasons run from spring until marshes freeze in the fall. Over 300,000 bales are pulled annually for shipment all over the world. 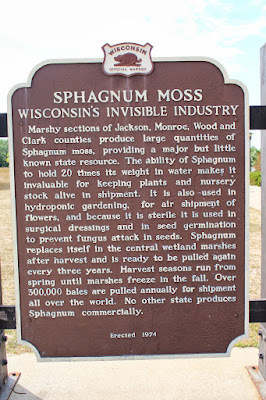 No other state produces Sphagnum commercially. See also, The Mosser Lee Company, a related marker at a nearby location.